Launched in May 2005, YouTube is the third most popular site on the Internet and the second-largest search engine on the Web, with only its parent company, Google, ahead of it in the search category. YouTube boasts one billion users with 24-hours of video downloaded every second. With people consuming Web content via their mobile devices at an increasingly rapid rate, YouTube acts as a distribution platform for both original content creators and advertisers large and small. If you want to place a video ad on YouTube, you will need to sign up for both a Google AdWords account and a YouTube account—you must host your videos on YouTube in order to utilize the Google/YouTube advertising platform called TrueView. TrueView video ads are YouTube’s ad platform; advertisers manage TrueView ads via Google AdWords. With TrueView ads and/or campaigns, advertisers decide where their ads appear and who sees them. Another relevant feature offered by the TrueView platform is that advertisers are only charged for a video ad when a viewer watches 30 seconds of the video (or the entire video if it is less than 30 seconds in length), or engages in other video interactions such as clicking on a call-to-action (CTA) overlay, on cards, or on a companion banner. TrueView video ads also give viewers both choice and control over which advertisers’ messages they want to see, and when. TrueView ads include a “Skip ad” button that provides viewers with the ability to opt out of watching a TrueView video ad. However, this may prove beneficial to advertisers since individuals who do not skip an ad are considered more reliable (i.e., cost-effective) leads. TrueView in-stream ads run before, during, or after other videos on YouTube and across the Google Display Network (GDN); in-stream ads can appear on videos across YouTube and on both video publisher sites and apps on the GDN. This format is designed to promote a video when people are either searching on YouTube or browsing videos on YouTube or across the Web. In-display ads may appear next to YouTube videos, on YouTube search results, on video plays on YouTube channels and on its Watch pages (i.e., the home pages of videos), and on publisher sites across the Google Display Network. YouTube has more than one billion users—nearly one-third of all people using the Internet. Moreover, each day people spend hundreds of millions of hours on YouTube and generate billions of views. 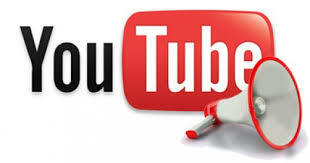 Eighty percent of YouTube’s views are from outside of the US. Also, according to the site iCrossing, 300 hours of video are uploaded to YouTube each minute making YouTube an incredibly competitive place. YouTube says that its partner revenue is up 50 percent, year over year, for three straight years, with the number of channels earning six figures per year also up 50 percent, year over year. Furthermore, the top 100 global brands have run TrueView ads over the past year and the number of advertisers using TrueView grew 45 percent in 2014, according to YouTube. The best place for a call-to-action (CTA) on a YouTube video, according to ReelSEO, is at the 30-second mark. ReelSEO’s study goes on to say that YouTube engagement seems to perform the best early in the video, just as it does for video on Facebook. However, video on YouTube continues to engage audiences up until about the three-minute mark; as viewers watch past the five-minute point on YouTube, interaction drops off. If that sounds a bit overwhelming, there is hope. According to Wishpond, “How-to” videos are a relatively simple and cost-effective approach to promoting your store, product, or service. What’s more, using the How-to approach gets your videos in front of audiences actually interested in purchasing your products or services. Finally, here is a peak at the ten most viewed ad videos on YouTube in 2015.